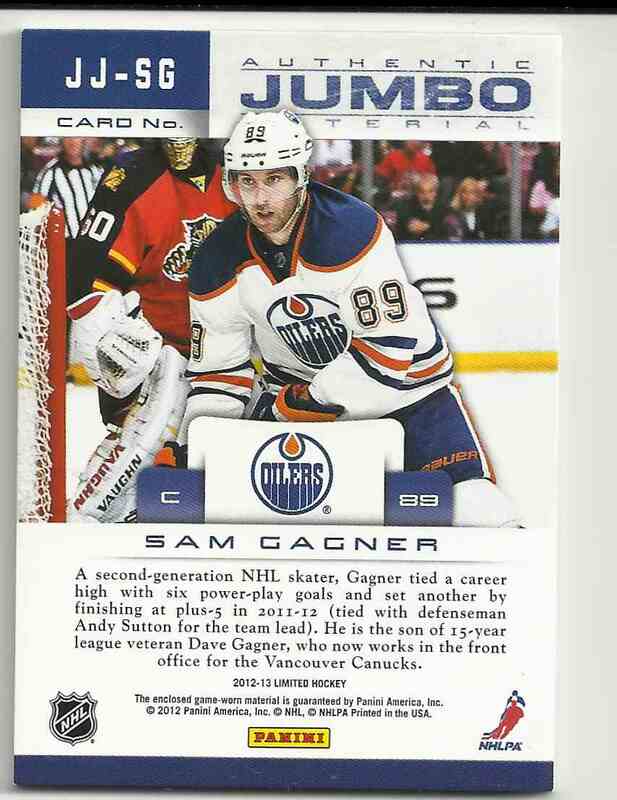 This is a Hockey trading card of Sam Gagner, Edmonton Oilers. 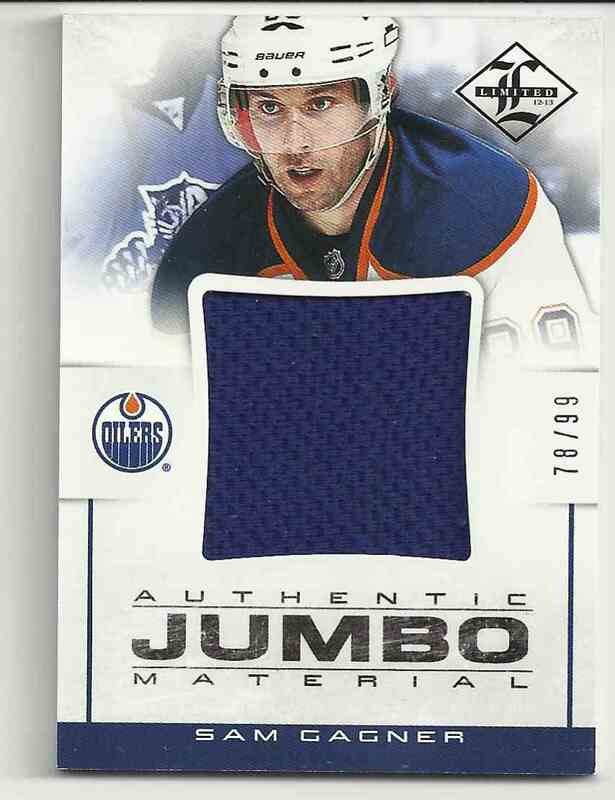 It comes from the 2012-13 Panini Limited Jumbo Materials set, card number JJ-SG, embedded Jersey 1 Color, serial numbered 78/99. It is for sale at a price of $ 13.00.